The first plan of attack: get rid of the carpet. As soon as she substituted the unsophisticated carpet with sleek white oak, the house gained a natural brightness. As labor-intensive as taking out carpet can be, it changed the entire space in a matter of hours. Jessica pondered how to open up the house even more without destroying the bones of the house. The answer? She scraped the laundry room—which improved the flow by making every room accessible from the breezeway. 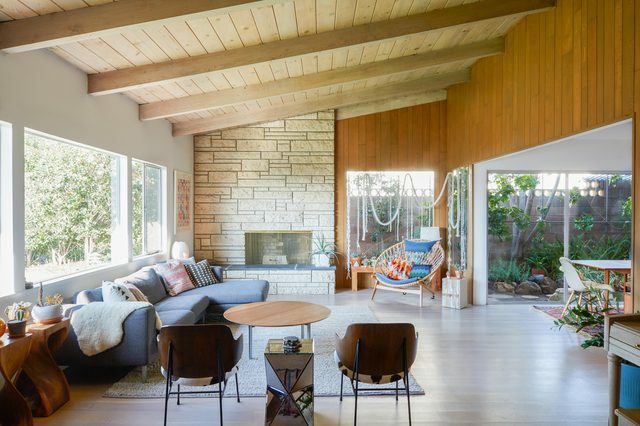 New furniture mixed with the wood paneling and original fireplace creates a functional and eccentric space. Once Jessica started to put her stamp on the house she decided to go back to the roots of the home—saving the original fireplace and wood paneling. 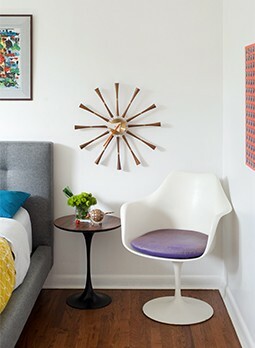 To complete the room she added vintage furniture alongside newer pieces. Often times, hidden gems aren’t hidden at all. By adding new pieces surrounding the old, it allows those pieces to shine. If you’re lucky, purchasing a home may come with a gift. In this case, Jessica was gifted a gorgeous piano left behind by the previous homeowners. This piano was a gem that gives the space purpose and familiarity. 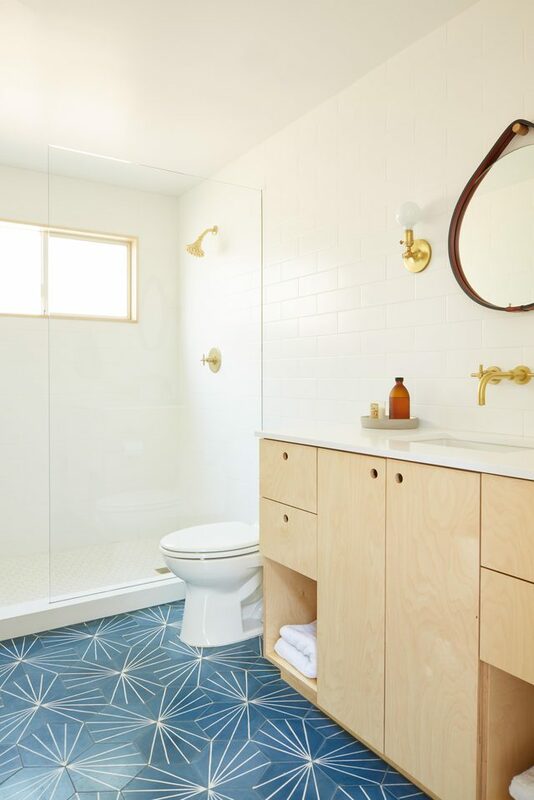 Classic midcentury tiles completely make up the bathroom floor. The bright colors in this room make it feel clean and spacious. Brass finishes and minimal additions to the counters give the home an updated feel. For more information on Jessica Hansen, click here.